The Myrtle Beach Police Department is getting some love on Facebook after they posted a video of an officer rescuing a stranded dog. MYRTLE BEACH, S.C. (WTVD) -- The Myrtle Beach Police Department is getting some love on Facebook after they posted a video of an officer rescuing a stranded dog. Officers were called to Barc Parc South Wednesday afternoon after hearing that a dog was trapped on a center island of a pond. 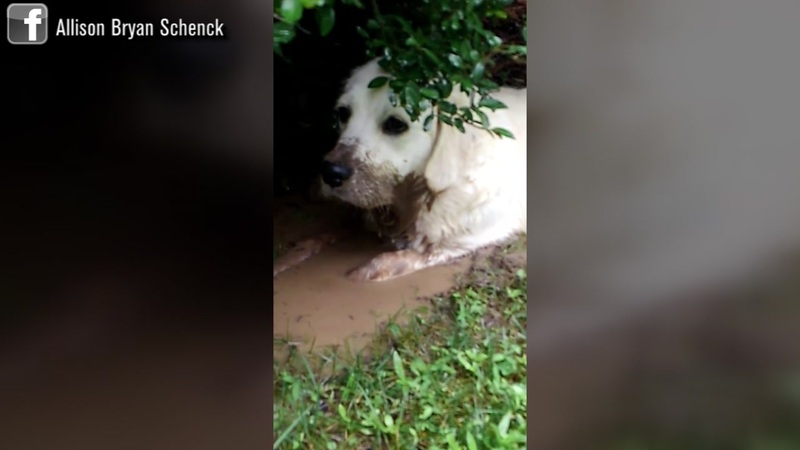 Police said the dog, Willie Nelson, was chasing ducks and got stuck. A video posted on the department's Facebook page shows Corporal Hunt paddling back to shore with the pup before he jumps ship and reunites with his family. The video has been viewed more than 8,600 times. It's no secret the heat is on in the Triangle and this Durham pup found a quick way to cool off.